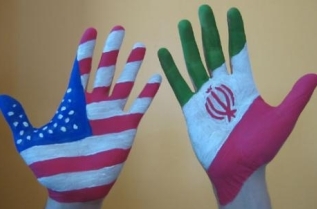 Peaceworks: Support the Iran Nuclear Accord! Support the Iran Nuclear Accord! Mid-Missouri Peaceworks supports the Iran Nuclear Agreement. We see it as a step away from the path to war; one that furthers the cause of nuclear non-proliferation. It even hints at the possibility of eventual normalization of relations. We encourage our members and supporters to learn more and to share your thoughts and concerns with your elected officials, especially with Sen. Claire McCaskill who has not made public her position. (Click HERE to contact Sen. McCaskill). We are troubled by the fact that both Rep. Vicky Hartzler and Sen. Roy Blunt have already been outspoken in opposition to the accord. They, too, need to hear from constituents. Some key items in the accord include: shutting down most of Iran’s enrichment capabilities, eliminating 98 percent of their enriched uranium, keeping them from making weapons-grade plutonium, and enacting the most rigorous inspection regimen in history. These provisions and others mean that our government and the other members of the P5+1 have achieved a very strong non-proliferation agreement. Opponents have offered no alternative to this agreement, and, it seems, their prescription is effectively to join Netanyahu in traveling the path to war. This would be a tragic mistake likely leading to enormous loss of life, limb and treasure. We’ve seen the consequences of a war of aggression launched ostensibly to counter a supposed threat of WMD. Millions of lives were torn asunder by the U.S. invasion of Iraq. Launching a war against Iran, a nation approximately three times the size and population of Iraq, would be a tragedy of much greater proportions. We find it hypocritical that opponents of the agreement are attempting to put the kibosh on an accord that dramatically reduces Iran’s ability to acquire nuclear capabilities, should they wish to. Yet keeping Iran from getting such weapons is the opponents’ ostensible goal. If one accepts their premise that Iran is seeking such weapons, putting this agreement into effect is a very real and effective hedge against them doing this. 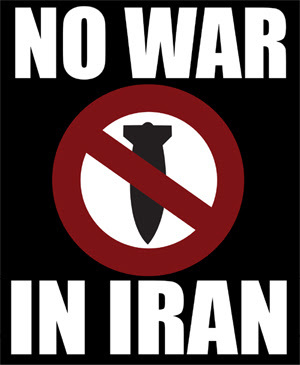 Peaceworks is not in favor or Iran, or any other nation, acquiring nuclear weapons capabilities. This agreement is a serious step forward in assuring that they’ll not be able to. This said, we should note that there is a great deal of bipartisan hubris and hypocrisy involved in insisting that Iran eschew nuclear weapons. The United States and the eight other nuclear weapons states, including Israel, maintain large arsenals and have no intention of eliminating them. This is in direct violation of binding obligations under Article VI of the Non-Proliferation Treaty. In 1968 the U.S. and the other nuclear states agreed to “undertakes to pursue negotiations in good faith on effective measures relating to cessation of the nuclear arms race at an early date and to nuclear disarmament . . . "
In the long-run, the only way to ensure that Iran and other non-nuclear states do not acquire such weapons is to negotiate mutual, verifiable and universal nuclear disarmament, and to establish the means of keeping all weapons-usable nuclear materials out of the hands of any state that might seek them for weapons purposes. In the meantime, we must move forward with this accord, supporting effective diplomacy rather than war. Engaged grassroots activism is needed now to assure that the agreement is not rejected. The alternative is likely war, so action is clearly needed and needed now.